The gadget loving world is currently suffering from a dire case of we need the new iPad syndrome, and will only be cured when the doors finally open and pre-orders finally start to hit our floor mats. For most of the countries around the world that are set to get the new iPad on the first launch day, it is only a few hours to wait until we can hand over our plastic friends to the good people at Apple and let them charge away. However, if you happen to be Australian, then the chances are you may already have collected the new iPad and are currently salivating over the beautiful Retina display. 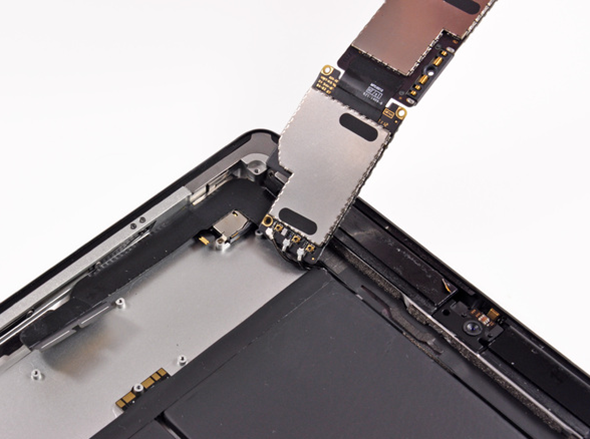 If however, you are one of the unfortunate individuals who has a few more hours to wait until the salivation begins, then the good people over at iFixit have you covered with a complete teardown of Apple’s new device so we can see the guts that make this thing roar. One of the company’s employees took a dedicated flight to Melbourne in order to get their hands on the piece of kit, then used the MaxFixit office to complete the teardown. Armed with a Pro Tech base toolkit, a new iPad and a can of Red Bull, the team went to work on dismembering the device the world is waiting to get their hands on. 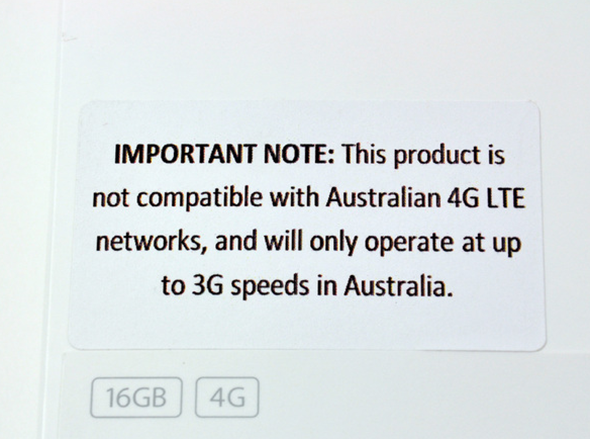 One of the first things you will notice is a big warning notice on the device, informing customers that the ‘4G’ services of the new iPad will not work on the Australian networks, meaning the Australian version of the iPad is still effectively a Wi-Fi + 3G model, even though it is branded as 4G. 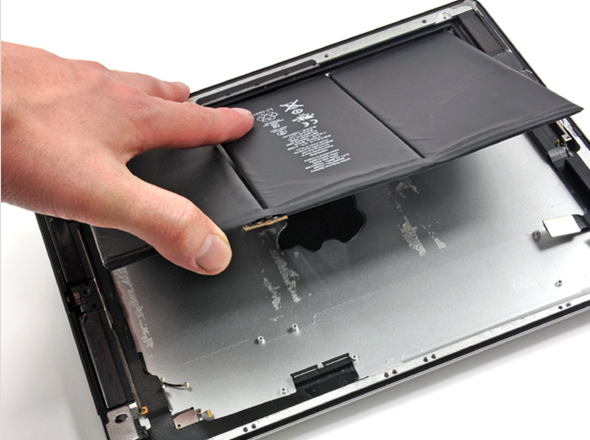 The unit itself proved very difficult to take apart, just like previous versions of the iPad, proving the overall build quality is of a high standard. 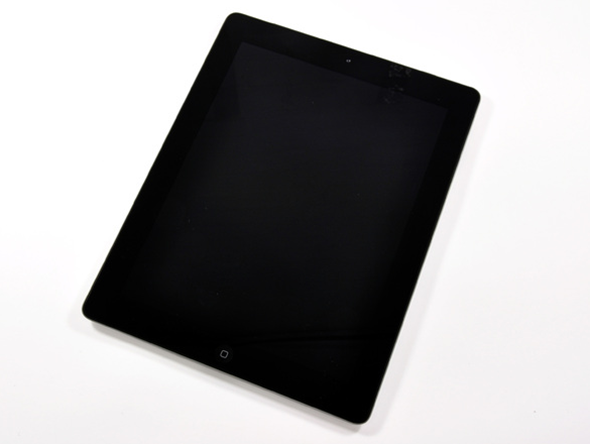 The glass touchscreen is securely held to the iPad shell by strong adhesive which will ultimately make general repairs difficult to carry out if needed – a clever ploy from Apple perhaps in an attempt to stop third-party repairs? Probably the most talked about part of the new iPad is the Retina display which is made up of 3.1 million pixels, giving a pixel density of 264 ppi. The team have noted that the display is securely fastened to the case via a set of screws with the obvious connection ribbon pumping electrical life into it. The model numbers which are included on the internal display lead the dismembering team to believe that it is indeed Samsung manufactured, oh the irony. 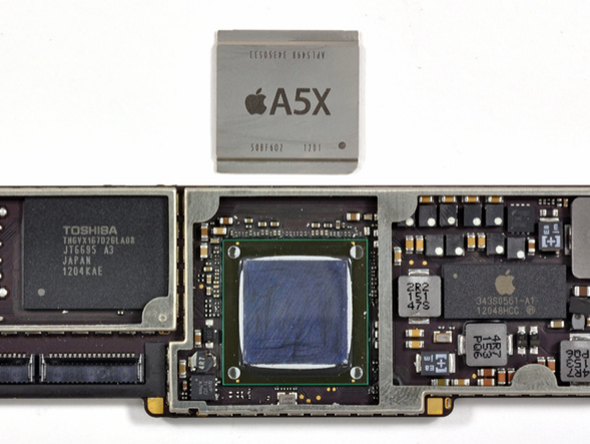 Undoubtedly one of the most beautiful parts of the iPad internals is the logic board, which when the EMI shields are removed reveals the magic, which works alongside the A5X to make the new iPad stand out from the competition. The majority of the internal footprint of the device is hogged by the battery, which is generally the way with tablet devices. 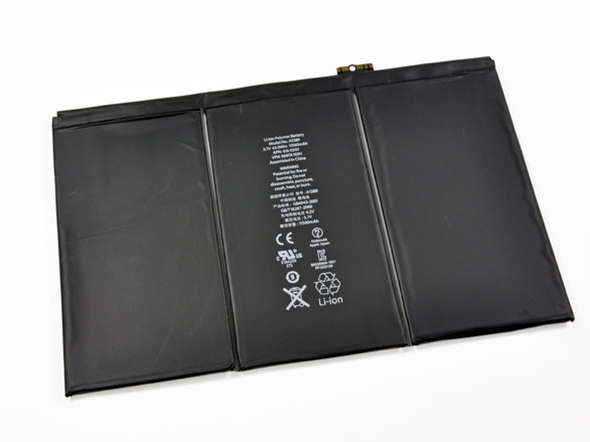 In the new iPad’s case, Apple have introduced a 42.5 watt-hour Lithium-ion battery which is quite a substantial improvement over what was shipped with the iPad 2. After a twenty eight step process, the team have managed to totally tear the new iPad apart, revealing all of the inner workings of the tablet which is set to rule the roost for the next twelve months. Their verdict? Only twenty percent chance that you would be able to repair it again after disassembling, so if you get any thoughts about your own teardown when you pick yours up, I would think again.